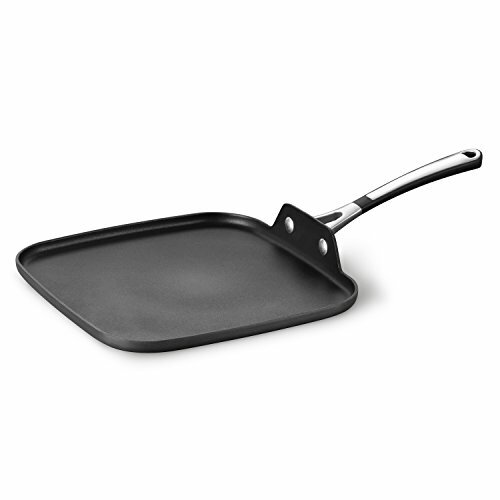 Ideal for making breakfast favorites like pancakes, crepes, and French toast, the Simply Calphalon Nonstick 11-Inch Griddle Pan features a thin, flat profile that heats and cooks evenly. A hard-anodized exterior resists chipping and cracking, while the low heat transfer contoured handle allows for safe handling. 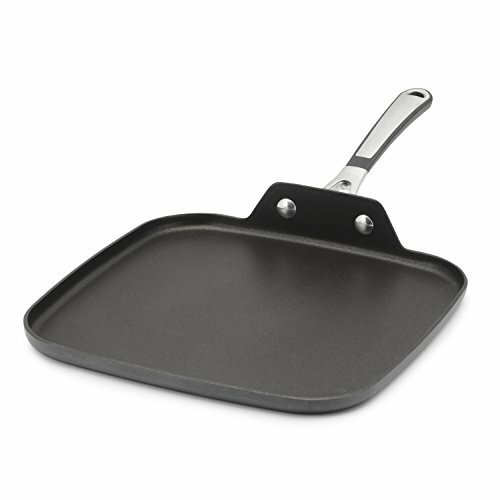 And thanks to its proprietary two-coat nonstick interior, this griddle pan offers effortless food release and easy cleanup. 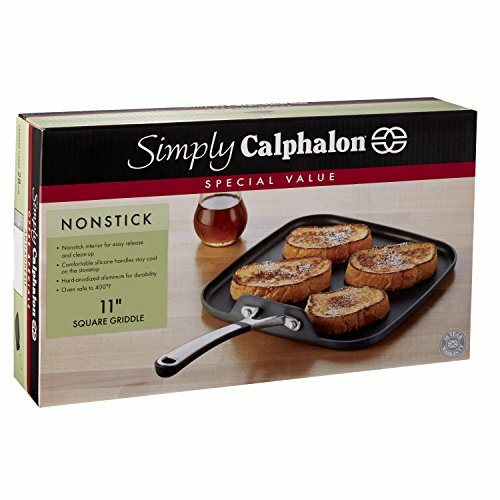 The Simply Calphalon Nonstick 11-Inch Griddle Pan is nonreactive with foods, oven safe to 400 degrees Fahrenheit, and backed by a lifetime warranty. 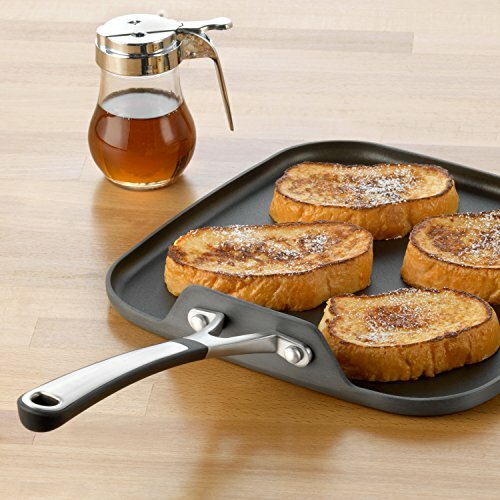 The square nonstick griddle pan is the perfect breakfast or sandwich companion. The shallow profile offers easy access with a spatula.